These are Protective Covenants that mus be followed when purchasing a property that is bound by these Protective Covenants. No loud noises shall be permitted, such as to disturb the neighbors in the area, noise may be defined, but not limited to loud music, autos, motorcycles, ATV's, boats or any other motorized vehicle. No accumulation of discarded personal effects, debris, waste, garbage or other unsightly object or matter will be permitted on any lot. Campers or motor homes shall be allowed to be lived in up to six (6) months only if the buyer is in the process of preparing the property for a house to be built or to move a mobile home on to the property. If the above process takes more than six (6) months the seller may extend the time as long as improvements continue to be made to the land. Any modular or mobile home placed on a lot must be no older than ten (10) years from the date of placement, and must be underpinned within six (6) months of placement with brick, stone or masonry or such material approved by the developer. Any home that is going to be relocated from another location to this property must be approved by the developer prior to placement on this property. No junk vehicles or parts of the same shall be permitted on any lot that is in view of any neighboring property or in view from a public road. Junk vehicles are defined as any motor vehicle parked or placed on any lot that is not registered or licensed. No dwelling shall be located nearer than seventy-five (75) feet from the fronting road. All structures erected shall be completed within one (1) year of when work begins. Timber may not be harvested on any property where owner financing was utilized, and there is still a balance owed to seller, without the prior permission from seller. Any proceeds from timber harvesting during the time a balance is owed shall be paid to seller as a principal reduction payment on the loan. No temporary house or shack shall be erected (permanent storage building is allowed). 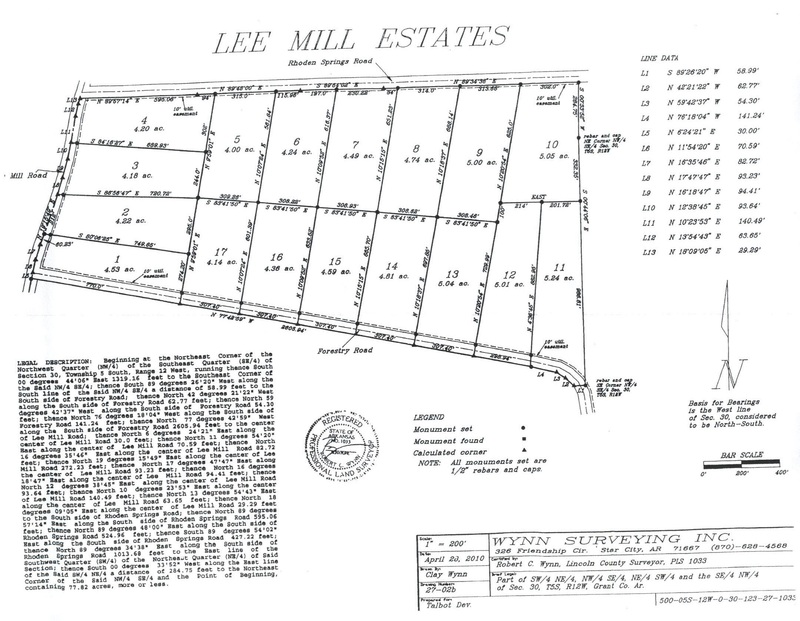 These Covenants are in addition to any other government authority zoning ordinances..